It’s not uncommon for companies like yours to hire search engine optimization agencies that can help with your marketing – but before you do that, there are a few things you should know. Many companies don’t actually know what they should expect from an agency, and this usually results in paying for illegal links and ranking in keywords that aren’t profitable for your business. Knowing what benefits you’ll be getting out of an SEO deal can help you squeeze the most benefit from your investment. You don’t have to be an expert, but you should know the following things before hiring any search engine optimization agencies. SEO is not that difficult to learn and execute. Also, nobody does them better than internal staffs who intimately understand a business. This never ceases to surprise the companies I’ve worked with, but it’s true. 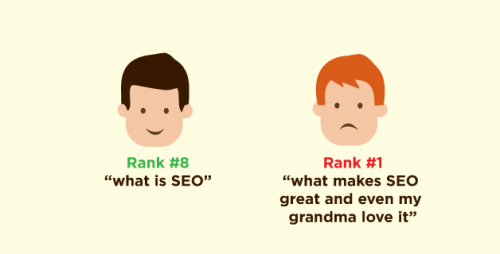 Doing SEO isn’t particularly difficult. It’s not taught in most educational institutions, but learning SEO is something anybody, from any background, can quickly learn to do. It’s a good complimentary skill for your web developer and/or marketing team, so you don’t need to hire staff members who are focused solely on this. You can also use many of the tools that are available on the internet to smooth out this process. SEOPressor Connect is an outstanding on-page tool for WordPress sites, while sites like Keyword Tool can help you quickly get a long list of relevant keywords to research. Once you have your keywords, all you really have to do is sort them by traffic, then figure out which of them actually matter to your buyers. From there, the content (usually blog posts) practically writes itself. Optimization only works if you already have contents to be optimized. Fundamentally, search engine optimization agencies tend to focus on the optimization part… which, of course, means you need to have some kind of content to optimize. This means that you need to be writing and posting content on a regular basis. This usually takes the form of blog posts, daily news, and similar content that’s relevant to your audience. You should be aiming for updates at least two or three times a week – more is better, if your budget allows for it, as long as the content remains of a sufficiently high quality. Don’t spam low-quality content just so you’ll have something to post. Don’t even bother with search engine optimization agencies until you have content that’s ready to be optimized – the static pages of your website (company, product info, FAQ, etc.) are nice and all, but they have no real relation to SEO. Ranking #1 for bad keywords are like being a champion at a sport nobody plays. I know, I know, everyone wants to get to the top of Google’s search results – and in fairness, the top results do tend to get the majority of the clicks. However, some search engine optimization agencies charge for getting you into the top ranks… then focus on building your presence on worthless keywords that see almost no traffic. These worthless keywords (usually stuff like your company name, abnormally long keywords, and obscure terms) shouldn’t matter to you, and they’re certainly not worth paying an agency to help you rank in. Good keywords tend to be short, popular, and competitive enough that nobody can guarantee you the top placement. Remember, your goal isn’t to rank high in the search results – it’s to attract enough people who can be converted into visitors. As long as that goal is met, it doesn’t really matter where in the rankings you are. Never confuse your goal for the method used to reach it. 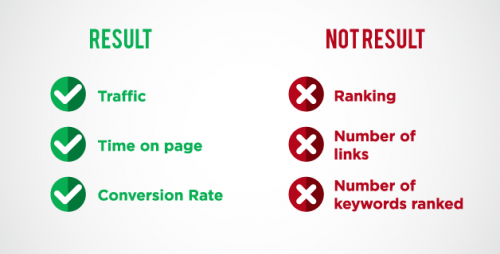 Top ranking only matter for keywords that can actually bring you traffic. 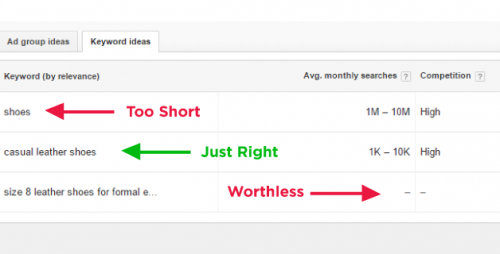 On the same subject, one major indicator of a keyword’s value is the volume of searches it has. In a practical sense, only keywords seeing 100 or more searches each month are worth pursuing. Anything else can be safely ignored. However, this doesn’t mean you should focus solely on short tail keywords with zillion searches per month. You’ll need to have a presence there, but to be perfectly honest with you, short tail keywords are highly competitive. We’re talking Wikipedia and Dictionary.com kind of competitive. Which brought us to another point – short tail keywords, despite having tons of search are mostly vague. People are more interested in knowing its definition and might have zero purchasing intent. Your real goal is to focus on the middle tail keywords that offer a good balance between how often they’re searched and how hard they are to rank in. As a bonus, ranking well for these terms will often improve your site’s overall ranking, helping you do better on the most valuable keywords. You can use Google’s Keyword Planner (or the Keyword Tool mentioned above) to get a better sense for search volume. Either way, keyword research itself is worth its own discussion. The key thing to remember is that it isn’t hard – the tools will do most of the work for you, and all you need to do is learn how to interpret their results and turn them into useful content. Certain metrics doesn’t mean anything so it’s important to know which one is valuable to you. Traffic: Traffic represents the number of people who are visiting your site. It doesn’t matter where you are in the search results if you aren’t getting any traffic. Session: A session is a unique visit to your website. When this number is higher than your traffic count, people are coming back to your website after leaving it. Repeat traffic tends to include the best customers, and this demonstrates that they think your site is actually worth their time. Time On Page: This measurement shows how long people are spending on a given part of your site. Note that different pages tend to have different times. The home page, for example, usually serves to direct people to another part of your site – so if they’re quickly moving through it, that’s good. Spending too long on your home page could mean they’re confused or uncertain about where to go. Conversely, content-rich pages like blog posts should have visitors stick around long enough to read the content. If they don’t, that’s a warning sign that the content isn’t good enough. Conversion Rate: This is the most important metric – how many visitors to your website are actually converting into paying customers. Marketing Sherpa (an independent research institute) has some benchmark conversion rates for different industries, and I definitely suggest taking a look at them. If your website is doing too far below these numbers, then you could be doing better. It’s not likely you’re going to get much higher than the benchmarks, though – there’s a point where SEO offers diminishing returns, so it’s not worth trying to raise your conversion rate much higher. There are countless metrics that can be used to judge the success of what SEO agencies are doing, but these are the four you should be paying the closest attention to. That said, you do need to consider each of them in the context of the others. 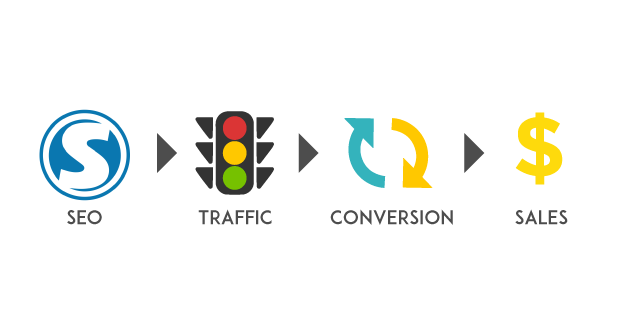 A great conversion rate doesn’t mean much if your website only sees a few visitors a month. Similarly, massive amounts of traffic that don’t turn into customers isn’t helping – and in the worst case, that traffic might even be fabricated. In short, remember to look at the forest, not just the individual trees. 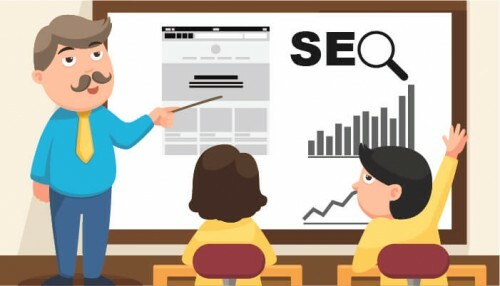 Some SEO agencies use Black Hat SEO to get quick results and quick payment.. Once Google noticed and penalize your site, they will be long gone. Black Hat SEO is used by some SEO agencies to provide quick results while not actually giving value to a search engine’s users. For example, they might decide to put a lot of links from fake websites (often referred to as link farms) and point them back to your website. Don’t let this happen to you. Seriously, I cannot over-emphasize how important it is avoid all kinds of Black Hat SEO – including, among other things, the fact that it just doesn’t work in the long run. 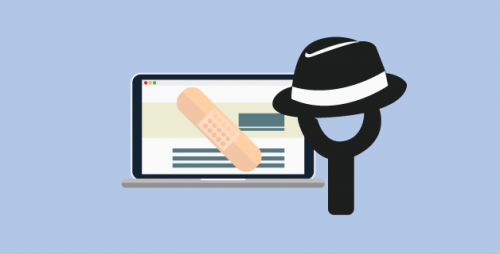 Search engines have been fighting Black Hat SEO for years, and they’ve gotten really good at noticing the various manipulative tricks that some agencies try to pull. The most likely result of this is that you’ll have a short-term boost in visitors that quickly vanishes as Google penalizes your site. You might even end up completely removed from the listings, all while the black hat agency is long gone with your money and refusing all attempts to get in touch with them. There is no situation in which manipulative techniques will help your business in the long-term. No matter how much profit SEO agencies promise, ignore them and stick with techniques that the search engines approve of. SEO gets you traffic but it’s up to you how to monetize them. The main point of search engine optimization is exactly what its name implies – optimizing your website to get traffic from search engines. Don’t just repeat the things that all of your competitors are saying. Instead, focus on creating genuinely good and helpful information – the sort that visitors are actually interested in reading. For example, if you’re selling toys, you could write about critical skills children learn during growth and how toys can help the process. If you’re selling makeup, you can write about different makeup techniques to use for different occasions. The best way to figure out what to talk about is to compare your keywords to your buyer personas and ask what that persona would actually be interested in. If you can’t figure out why anybody cares, move on to a different subject. Suggest your products and services, subtly. Don’t just force in a few links to your content. Instead, try to be subtle about it and place links where visitors are actually likely to click them. For example, if you’ve talked about a problem (“This is how snails damage your garden”), you could link to your product as part of the solution to that problem. Fundamentally, most people like it when you’re helping solve a problem – indeed, getting that help is probably why they visited your site in the first place. Here, I should note that this is a fundamentally different goal than most of the so-called traditional methods of advertising. With those – television ads, magazine inserts, and so on – you’re just trying to jump into people’s line of sight and hope they react. It’s no surprise that those ads tend to have horrible response rates. Inbound marketing, which is what you’re doing here, is about offering your help to people after they’ve expressed interest in receiving it. People who are actively looking for a solution are far more likely to convert into customers, and good SEO agencies will help you focus on reaching these people. One of the main goals of your site should be getting people to sign up to your mailing list. This lets you contact them without waiting for them to come back to your website, and you can use their email to contact them about things like new product launches, sales, and other things they may be interested in. Be sure to segment your email lists into different groups based on the behavior of the recipient. For example, people who’ve given you their email but never purchased anything can be targeted for special offers to entice them into buying, while customers who’ve repeatedly bought from you are probably interested in new products and reward programs. You don’t – and, indeed, shouldn’t – send the same content to everyone. Be sure to try and include some real value with every email you send – this will ensure they continue to pay attention to you. To actually get email addresses, try offering freebies in exchange – this can be an ebook, a discount, a special gift, or whatever else you think will entice them into providing their email address. Some companies simply ask users to register, and collect their email then. That’s not wrong, exactly, but simply won’t work. Emails are valuable and offering something of value in return will give people reason to sign up – so don’t be surprised if search engine optimization agencies suggest it. SEO gives you traffic almost indefinitely. But it will take some time to kick-off. 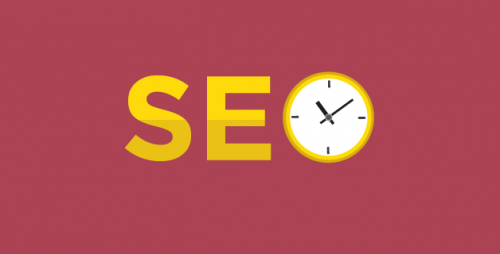 Let me repeat that – SEO takes time. It doesn’t happen overnight, even if you start producing fantastic, perfectly-optimized content. Traditional ads are where you should go for a quick fix but they only last as long as you’re pouring money into them. Getting your pages indexed and ranked by Google, and getting traffic from there, is going to take quite some time, which only fair considering the long term effect it will have. It is completely normal for SEO to take up to six months before you start seeing real results. Emphasis on ‘start’, there – this is when you really begin to do well, and your success is only going to start growing from there. First, you’ll need to budget for about nine months of SEO (to give some extra leeway), assuming that your cash flow won’t be genuinely positive until the end of that time. Realistically, you should start to see results well before that deadline – especially if you’re doing well – but it’s best to be safe when starting long-term marketing campaigns. Second, you should be reluctant to close a deal with any SEO agencies until those results start coming in. In other words, they shouldn’t get the bulk of their payment until after they’ve proven that they can give you a positive return on your investment. You may need to pay them something – they have to eat, after all – but you should incentivize them to help with your long-term success so they can’t simply take your money and run. Finally, you’ll need to continue making content for the foreseeable future. If you run out of things to talk about, you can research more keywords, update old content to reflect the new realities of your industry, or focus more on current events and how they might apply to your readers. The ultimate goal here is to create a lot of high-quality content. Individually, each piece of content you have is only likely to send a trickle of customers your way, and it’s easy to get discouraged by this during the early months. That’s why you absolutely must stick with it. As you produce more and more content on different keywords, those trickles will merge together to become a stream, then a river, then finally a flood of customers giving you the business you need. However – and good SEO agencies will be honest with you about this – you’re only going to get those benefits if you keep doing SEO. 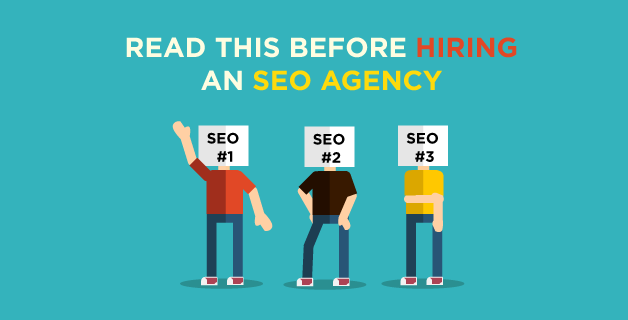 The eight things I just talked about are the key points to know before hiring SEO agencies – or, better yet, just doing the SEO yourself. As I said at the beginning, SEO is something you can do in-house, and your existing staff members won’t take long to learn how to do it right. If you do decide to hire someone, just keep these principles in mind and use them to negotiate for the best possible deal.